Bent Not Broken is a 2017 Red Maple Award Nominee! 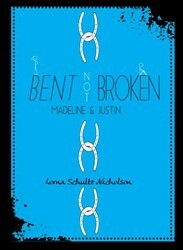 I’m thrilled, excited, honoured, and completely humbled that Bent Not Broken: Madeline and Justin has been nominated for the Red Maple Award with the Forest of Reading. Congratulations to all nominees in all categories! Many thanks to Clockwise Press and Christie Harkin. For further information about the book or how to order, please visit the “One-2-One” section under Books.